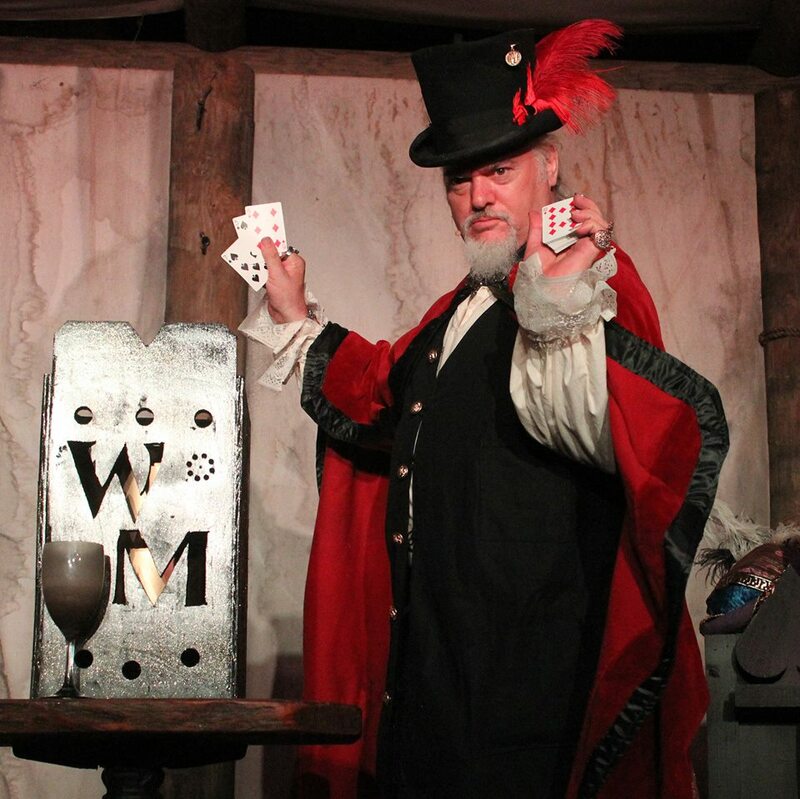 You’re probably wondering what Mayhem and Magic have in common, but that’s because you haven’t seen the new show at the Colonial Quarter in downtown St Augustine, FL. On Friday nights, for a modest ten bucks, you can relax under the stars with a glass of your favorite spirits and see a master magician creating illusions as mind boggling as anything I’ve seen David Copperfield pull off. 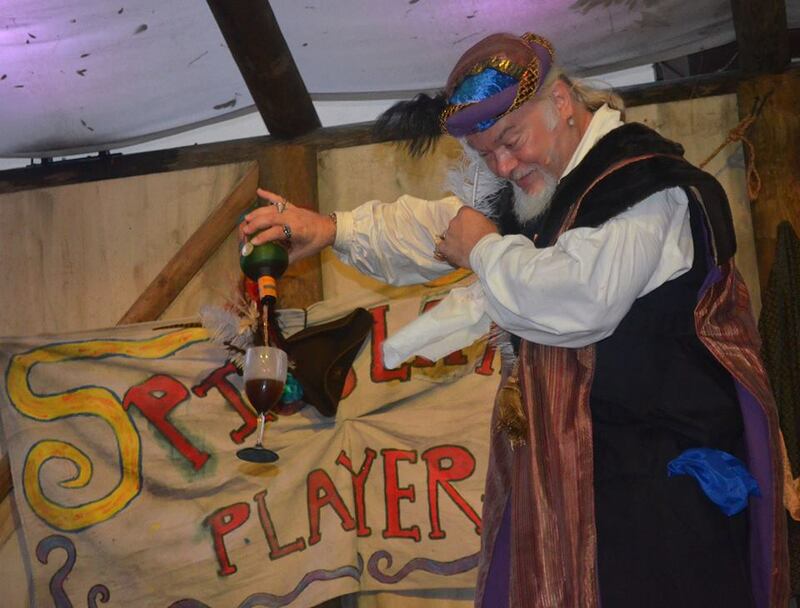 Forget sawing a woman in half or pulling rabbits out of hats, Mayhem de Magnifico pours wine into glasses that float in the air and does card tricks with a historic flare. Mayhem mixes his magic with interesting tidbits of history, and a great deal of comedy. And it won’t matter where you sit, because even lurking in the shadows at the back you might still be enlisted to become part of the act. Last Friday my friend and I had supper at a terrific little Greek restaurant on Cathedral Place, then wandered up St George Street. The town was hopping this past Friday due to it being First Friday, the night when there are new art exhibits all over town. There was also live entertainment at Ann O’Malley’s and the San Sebastian Winery, two stage plays that I know of and a comedy show. But as we returned down St George Street some while later, having laughed and marveled and been thoroughly entertained, we were glad we’d chosen to stop in at the Quarter and take in Mayhem de Magnifico. I’m not going to give away any of Mayhem’s marvelous illusions because I really want you to head on down and see them for yourself. But I can tell you they involve jewels and coins and a very real sword. From now until at least the start of the new year Mayhem de Magnifico will be performing on Friday nights at 8:00pm. The gates open at 7:30pm and tickets can be purchased at the door. Kids are half price and they sure get their money’s worth as Magnifico draws them right into the action, up on the stage as helpers.